Jynx torquilla Linnaeus, 1758, Sweden. Four subspecies. 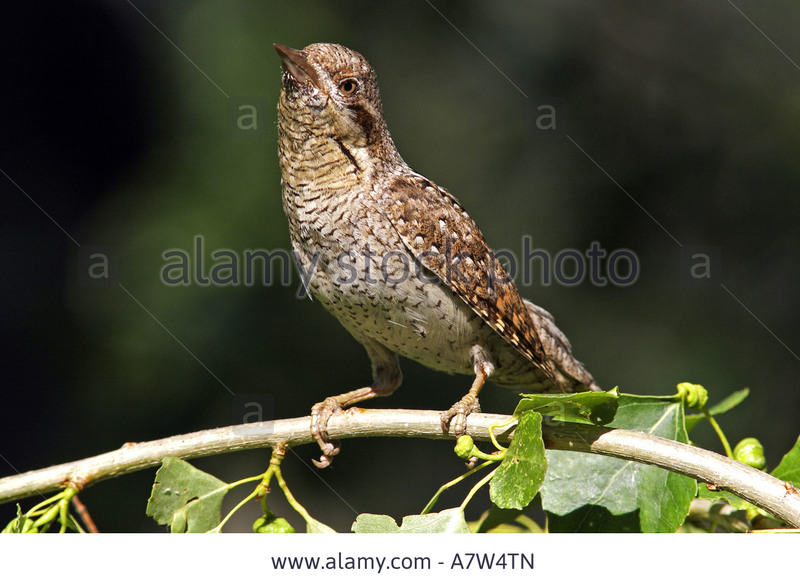 English: European wryneck, Eurasian wryneck; French: Torcol fourmilier; German: Wendehals; Spanish: Torcecuello de Бfrica Tropical. 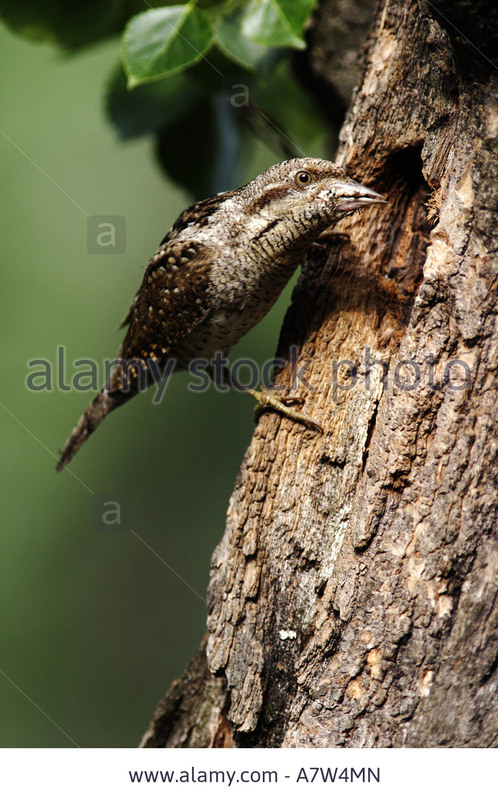 6.3–6.7 in (16–17 cm); 0.8–1.9 oz (22–54 g), weight extremes associated with migratory preparation and losses resulting from migration; a small, aberrant woodpecker with an overall gray appearance and lacking stiff tail feathers of typical woodpeckers; upperparts are gray mottled with brown and buff in a pattern much like some nightjars (Caprimulgiformes); diamond-shaped dark patch on back extends to the nape; breast is lighter gray; sexes alike and juveniles similar to adults. Open forests, clearings, edge habitats with sparse ground cover. Takes its name from head movements produced when cornered in the nest; described as mimicry of a snake. Migrant, travels mainly at night. Moves about home range alone, as pairs during breeding season, or as post-breeding family groups. Rarely climbs a vertical surface. 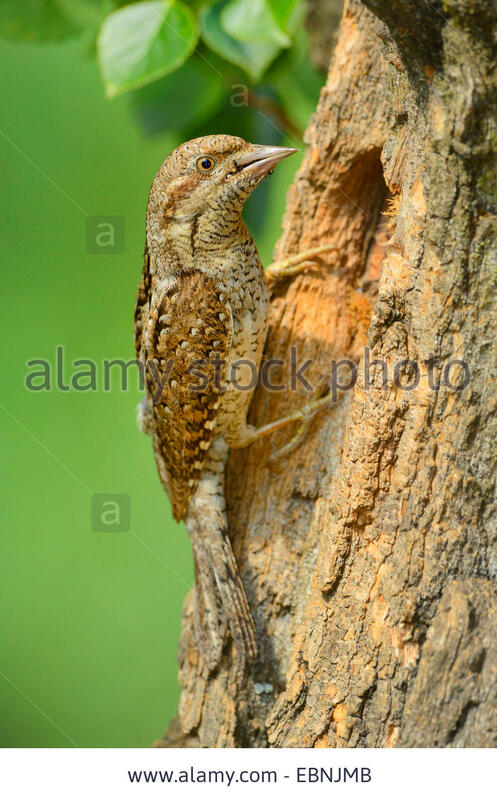 Nests in old woodpecker holes, nest boxes, and other natural and humanmade cavities; may slightly enlarge a well-rotted cavity. Typically nest is 3–49 ft (1–15 m) up. Nesting is May–June. Unlike woodpeckers, nest bottom is sometimes lined with sparse grass or moss. Typical clutch size is 7–12 eggs, but fewer eggs at some nests and as many as 18–23 at others where more than one female is laying. Incubation period is about 11 days and young usually fledge in 20–22 days. Both parents care for young for 10–14 days post-fledging. Second nest attempt may quickly follow first. 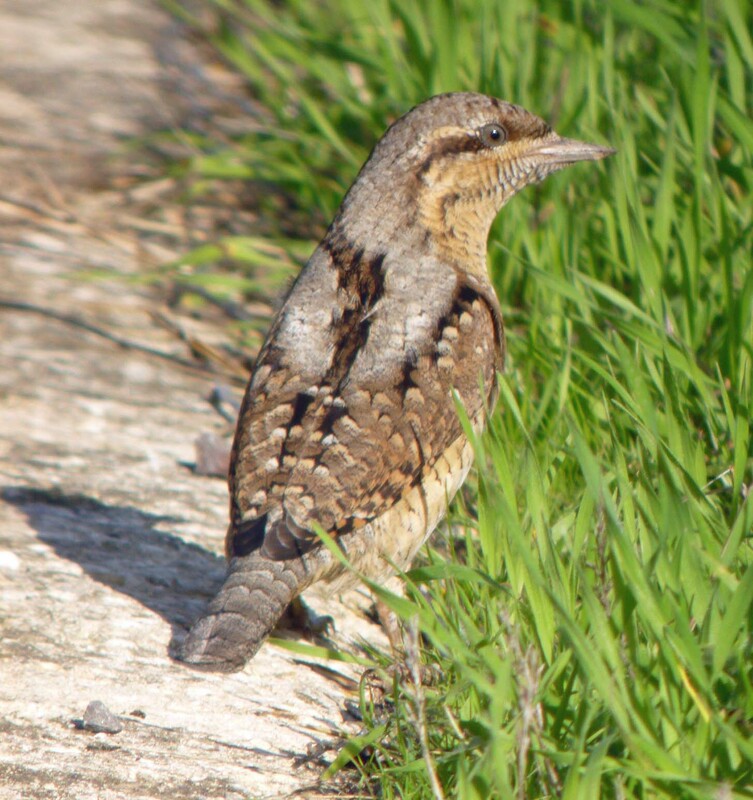 In Greek mythology, the king of the Greek gods, Zeus, was bewitched by Inyx, daughter of Echo and Peitha, and in revenge, Hera, Zeus’s wife, turned Inyx into a wryneck. 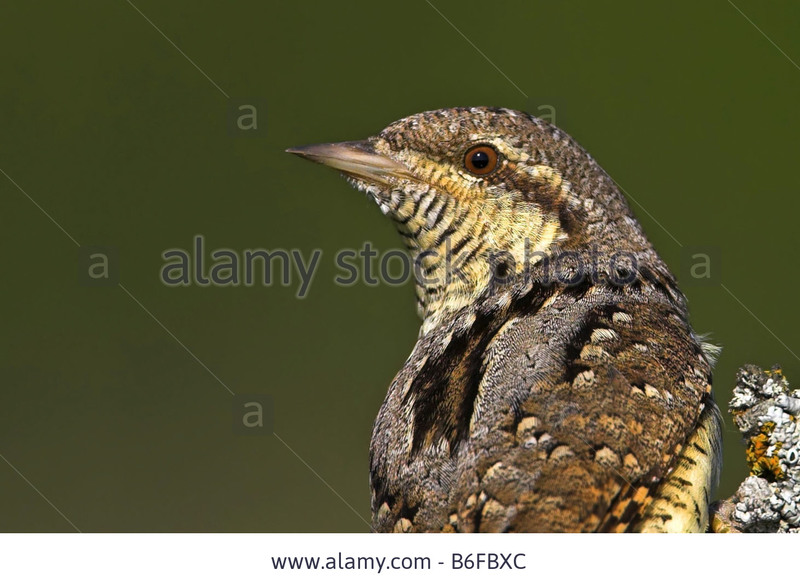 As a result, the wryneck is considered a “love charm.” No doubt this tale is linked to the sinuous, somewhat sensual movements of the disturbed wryneck in its nest.